Need a light weight electric scooter for the occasional trip to the store? Or, maybe you require a heavy duty scooter that is perfect for long cruises through the countryside. No matter what type of scooter you need All Electric Scooters has an electric scooter just for you. Contact our electric scooter experts today and begin living life without borders. Electric scooters designed for traveling. Lightweight, affordable, and easy to store, these scooters are equally suited for trips to the store or for your cross-country vacation. These electric scooters are great for both indoor and outdoor applications. Lightweight and highly maneuverable yet durable enough for daily use. Electric scooters engineered for maximum stability. These scooters have additional ground clearance and increased weight capacity. The perfect electric scooter for outdoor use. 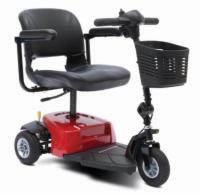 Heavy Duty electric scooters are available in both 3 and 4 wheel models. 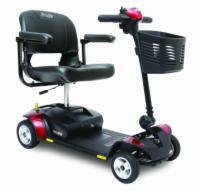 With weight capacities of up to 500 lbs. and top speeds up to 10 mph, these are the Cadillacs of electric scooters.